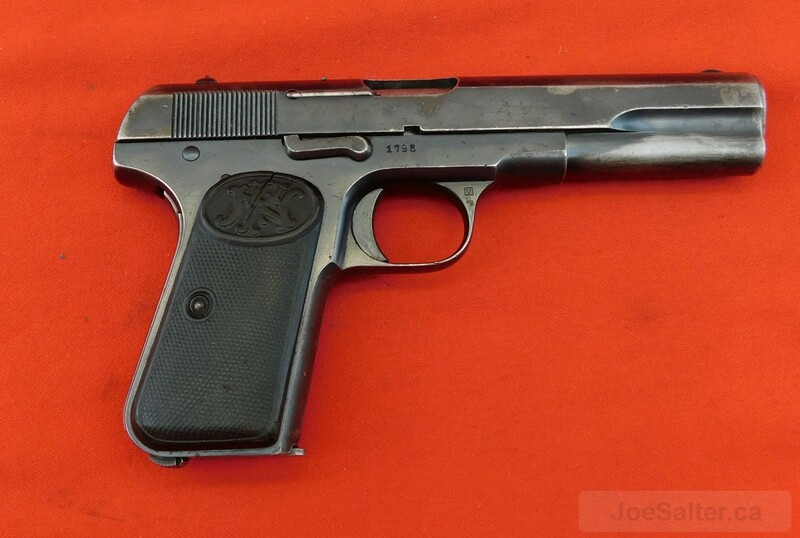 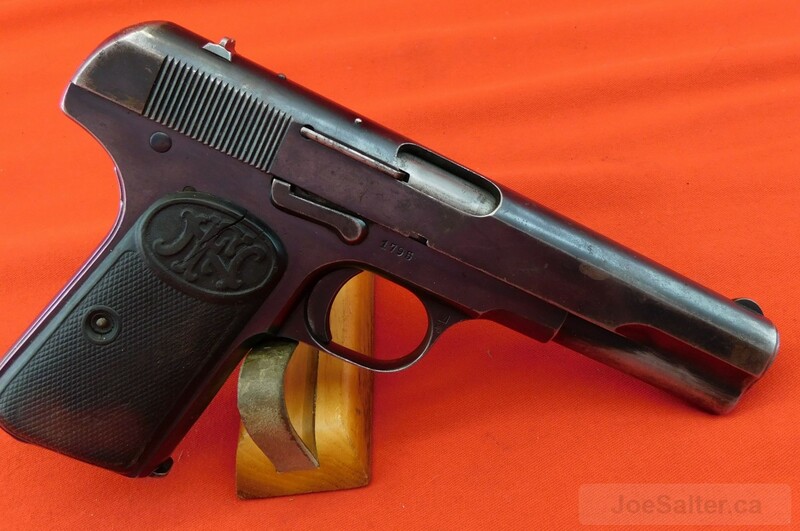 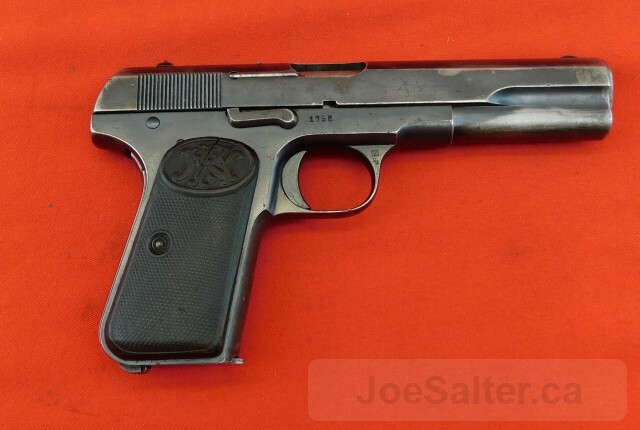 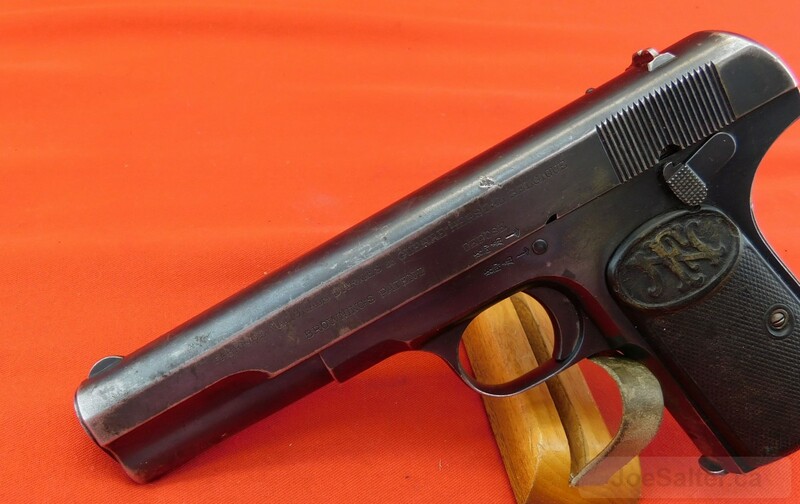 SN 1795 is an early example of the FN 1903 pistol. 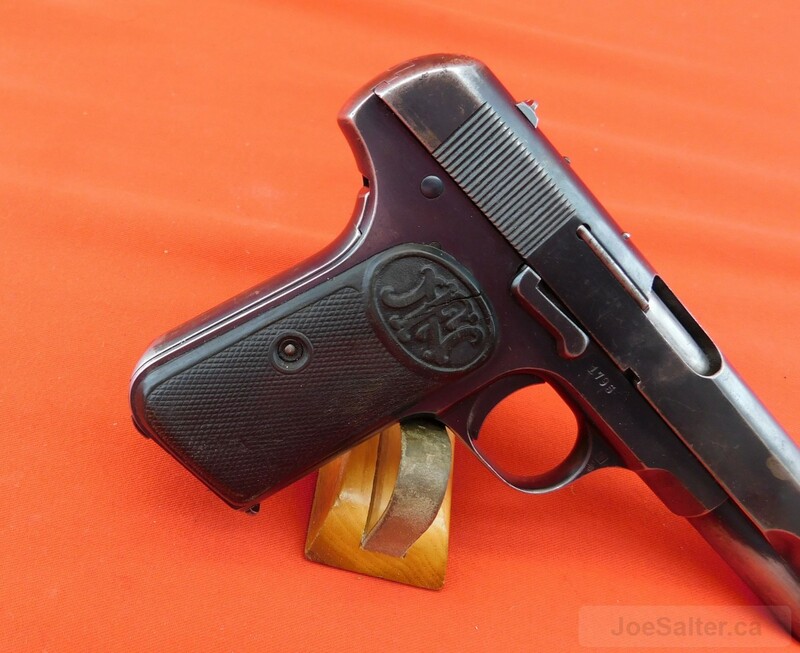 Caliber 9 mm long,this piece shows a bright excellent bore and approximately 90% original blue. 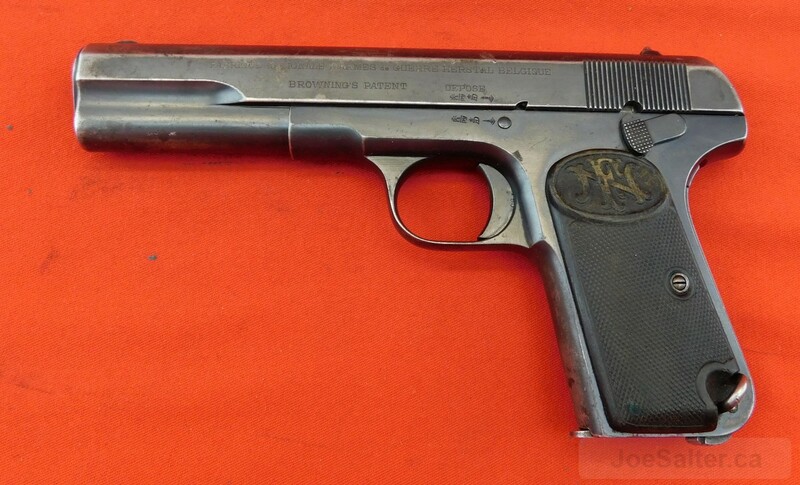 One of 58,442 1903 pistols built. This example shows the large lettering slide-legend which is the scarcer of the three slide legends for this model. 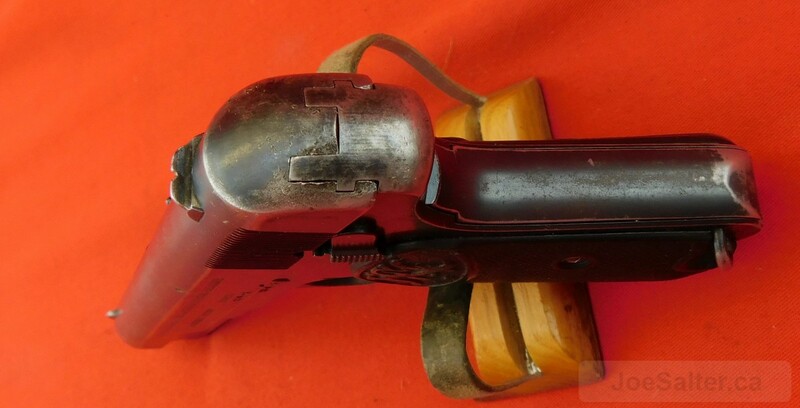 The horn grips remain sound with a small crack on the right panel. 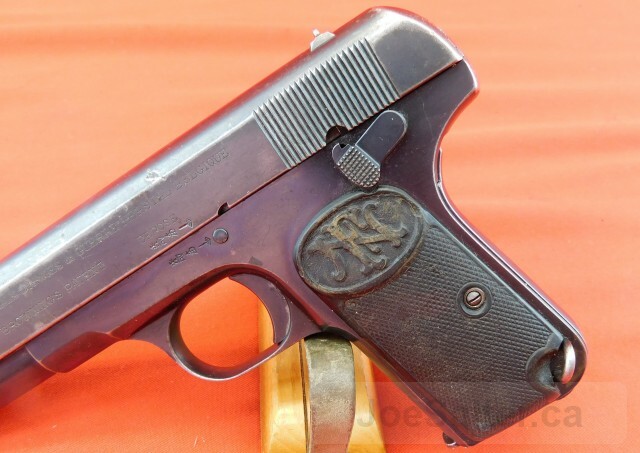 A very good example of the scarce 1903 FN pistol.